There’s nothing quite like warming up by the fireplace with a warm mug of…dessert. These (literal) cup cakes are cooked in and enjoyed right from the mug. From Nutella to red velvet to caramel apple, each of these delectable cakes is ready after 1 minute or less in the microwave. Cheers! 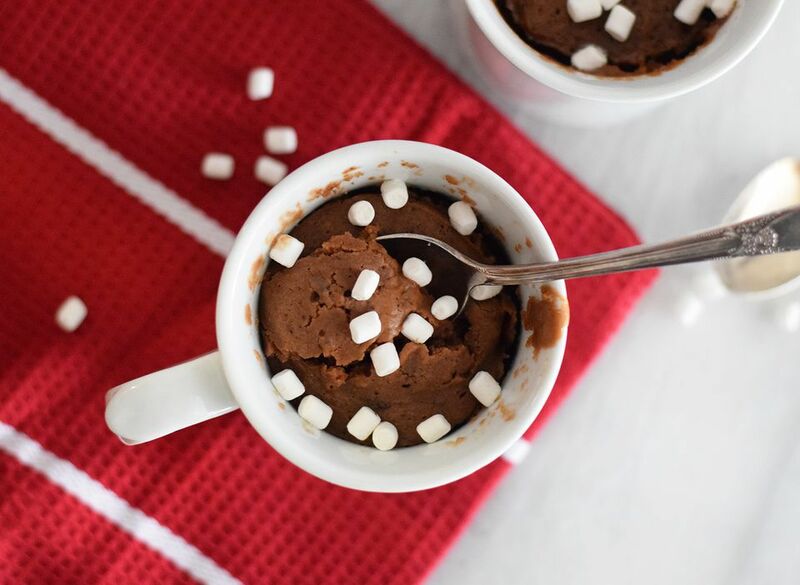 Cuddle up with this hot chocolate mug cake on a chilly night. Add some marshmallows and you won't believe how much this cake tastes like an actual mug of the classic winter drink. If you've seen recipes for skillet cookies floating around, check out this chocolate chip cookie cake recipe for the perfect mini version. Dig deep into a thick and melty treat for a cozy afternoon pick-me-up. Also, try replacing chocolate chips with M&M's or other candies for a fun alternative recipe. This gloriously simple recipe puts you just 60 seconds away from a super indulgent dessert for Nutella lovers looking to satisfy a craving in a hurry. With four ingredients you probably already have on hand, this Nutella mug cake is the perfect sweet treat for one! Snickerdoodles are no doubt a classic holiday cookie. Why not try it year-round in a mug? Using ground cinnamon makes all the difference and will elevate this snickerdoodle mug cake from good to great. Perhaps this isn't exactly a "cake," but it sure is sweet. 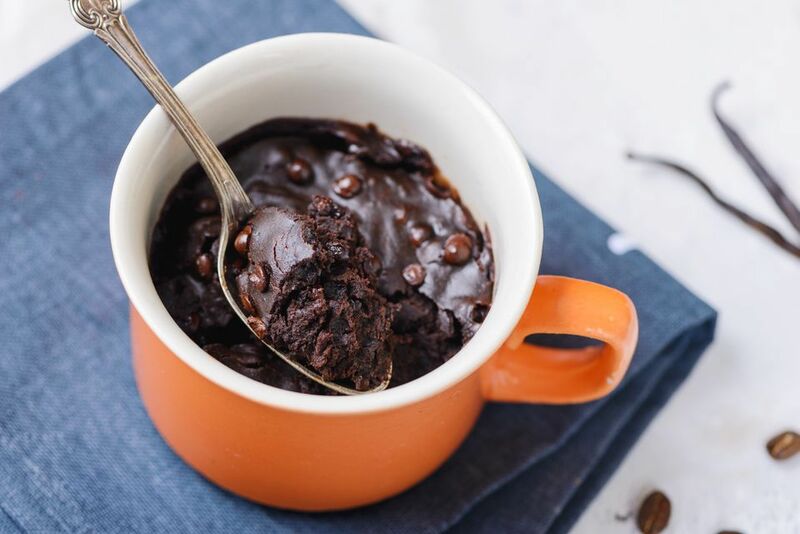 If you're more of a pastry person than an all-out confectionary, try your hand at these fudgy microwave mug brownies for an easy afternoon treat. Brewed coffee is the secret to getting a deeper, richer cocoa flavor. If you've mastered all the regular mug cake standbys, up your game with this tres leches cake in a mug. Spend a little longer on prep (and by that we mean five whole minutes) and win big on delicious and unique flavor. In just under two minutes, you can have a single serving of warm, gooey caramel apple cake. Throw these simple ingredients into a mug and top it all off with a crumbly streusel and syrupy sauce. A classic chocolate cake is hard to beat. Try your hand at the ultimate classic and the origin of all mug cakes with this simple dessert for one. We recommend dusting the top with some powdered sugar for extra effect. Satisfy an emergency sugar craving with an elegant, party-worthy treat. With a chocolate truffle molten center, this red velvet lava cake can be made in just under two minutes, making it a dangerously easy indulgence you can whip up any day of the week. Chocolate and peanut butter are as iconic of a dessert pairing as milk and cookies and it's even better in a mug. Tickle your tastebuds with this chocolate peanut butter cake dessert so sweet and easy, you'll have to stop yourself from making another right away. The mug cake world tends to be dominated by chocolate recipes, but vanilla deserves its time in the spotlight as well. This classic one minute fluffy vanilla cake is an excellent alternative from the rich cocoa options. Frost if you like or keep it standard—either way this mug cake makes a great canvas for your favorite cake add-ins and toppings. If you thought there was no way a mug cake could be anything but fattening, think again with this paleo take on a mug cake. Water, cinnamon, coconut oil, water, and flour are all you need to complete this perfect paleo cinnamon cake for those wary of processed desserts. Eat like a god in less than a minute with this easy angel food mug cake. The texture is light, fluffy, and sweet in just the right way. This chocolate coconut cake recipe includes shredded coconut for a sweet little twist on the standard chocolate cake mix. Try it with a coconut-based frosting and sprinkle a few flakes on top for a fancy garnish. Looking to satisfy your sweet tooth without causing any cavities? Then, this sugar-free red velvet molten lava cake is for you. Made with coconut flour, flaxseed meal, and sugar-free cocoa bars, it's a healthier alternative that still tastes just like red velvet cake.